← New Blog Sale Page Added – Take a Peek! Smothering mega flower in salad dressing – I believe something along those lines was my first inofficial review of this tuberose classic, a few years ago. The tuberose that all others are compared to, the ultimate diva of fragrances, Fracas leaves an impression on everybody. I believe nobody at all who smells it, stays unaffected in one way or another. Because, love it or hate it, you definitely notice Fracas. 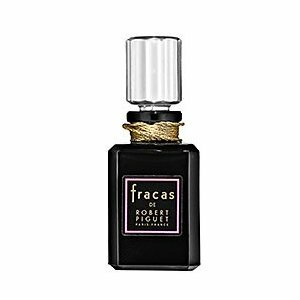 Fracas was created by Germaine Cellier in 1948 and includes notes of bergamot, orange blossom, greens, peach, tuberose, jasmine, violet, iris, lily of the valley, carnation, sandalwood, musk, oakmoss, and cedar. I usually apply the tiniest drop of the extrait on the back of my hand and this can be considered a full wearing, because Fracas does not joke around. You want to wear it? You will wear it for the rest of the week and your neighbors will know too. Fracas works best from a distance. When I sit and tap at my keyboard, what wafts up to my nose from that tiny dab is gorgeous. A hot-pink hued bouquet of tuberose with hints of greenery and a fruity-bubblegum-y smile. Go closer and the headache sets in. When I smell my hand up close, I get harsh carnation and orange blossom, soapy and spicy, a loud and screechy diva, more Joan Collins in Dynasty than Maria Callas on the stage. But I can appreciate the artistry of Fracas, the sheer grandeur and scope, the power it holds and bestows on its wearer. I appreciate it and I even admire it. I heed her imperative to “Look at me!”, I do. But I do it from a safe distance, I admire Fracas from afar. This entry was posted in Floral, Fragrance Reviews, Robert Piguet, Tuberose and tagged floral, Fracas, Fragrance, Germaine Cellier, Perfume, Review, Robert Piguet, Tuberose. Bookmark the permalink. That’s a wonderful review and it is so well matched with that image. 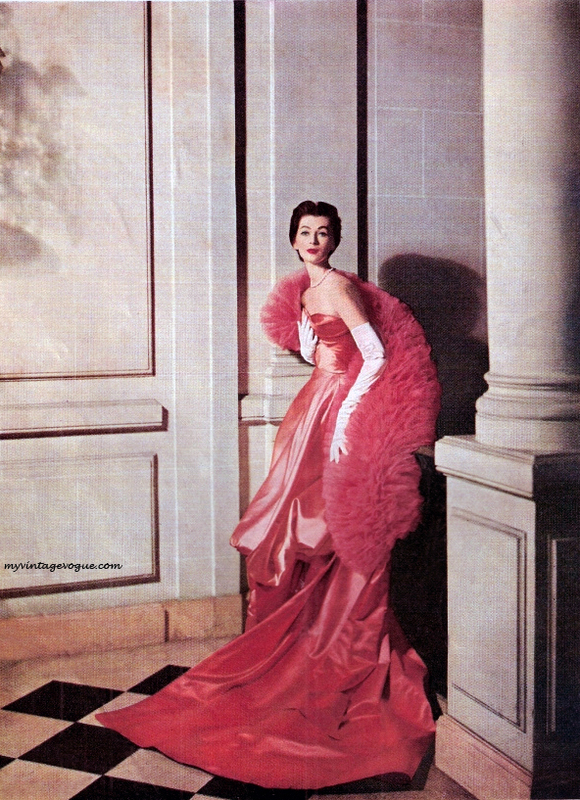 I always think of pink in association with Fracas too, maybe because of one of the early ads for it features a marvellous illustration of a woman in voluptuous pink. But tuberose is white isn’t it? I can’t abide Fracas, but I know what you mean about admiring a fragrance from afar. I admire Bandit and am very glad it exists, but I can never wear more than a dab, and then only on private! But it is great to have at least tried these great ones, just so you know. I can’t help but see Fracas in pink, the flowers are indeed white though. I really enjoyed your review! I have yet to try the Extrait and have only tested the EdP. Believe it or not but it was very fleeting on my skin! What i did smell was lovely though short lived. Really? It was fleeting? That is so interesting. I have the EdP sample too, but it is not a lot less potent on me then the extrait, it has even more diffusion and sillage than the smoother extrait. The same as you, I will admire from afar, that is one perfume that wears me, the last time I tested it we ended up in a taxi and the smell filled the small enclosed space so much that by the end of the journey we both had headache. Lovely powerful perfume, just not for me. But seriously, I like your library approach very much. I naively tried a large spray of this when I was first testing and I swear it tried to strangle me. That was quite a while ago and I am still having difficulty forgiving tuberose, Carnal Flower was even on my wish list up until that point. I read somewhere that the best place to apply Fracas is your tummy, apparently this gives the perfect amount of waft! I think I’ll stick to admiring from afar, there are so many perfumes that are so much easier to wear. I’m sorry you had such a traumatic experience with Fracas. I’m with you and others on this one. I might not be able to wear it but I’m glad a perfume with such a strong, showy character exists and that I’ve had the chance to try it. There is so much “blah” perfume out there. I’m really proud of you for getting as far as you did with Fracas, to the point where at least you can appreciate its artistry. I do completely understand how it’s a difficult perfume for most people, though, as you know, I love it in both formulations. But I also think I have scent-eating skin and that’s why I can wear a lot of big perfumes more easily than most. I always imagined you when I wore Fracas and now I admire you even more. I tried to learn to like Fracas using the Positive Review Therapy Method, but gave up when the mere thought of putting more on nauseated me… But I’ll try again in a few months, or next year— who knows? Never say never! Like Tara, I’m glad that it exists, because I’d rather have fumes to love or hate, than more of the mass of Blah out there. I can totally understand, learning to love something so very massive is well nigh impossible, if you are not the type for it, I think. But I agreed with Tara and I agree with you, better loud and gorgeous than blah! Fracas is one of my top ten favorite perfumes. Of course I love anything that has tuberose or gardenia in the bottle. lol. You know that Fracas is the only perfume that Martha Stewart will wear. I can’t stand Bandit. I traded my bottle for something else on the last Swapamania on Perfume Posse. Me and Fracas are great friends. Thanks to Killian to starting loving jasmine and tuberose. The only problem is I never go somewhere classy or dress so classy to fit this into one good picture. So me and my Fracas are enoying some qiet, lovely and lonely moments in my apartement ;-). I know, life is full of surprises right? I didn’t, I wasn’t interested until now, but now I sure will. I love Fracas. I don’t rank my perfumes in terms of favorites, but if I did it might be my #1. I know it’s hard to wear. But I do anyway. Not only that, I spray it in my lingerie drawer. Hmm, what a nice idea. Fracas terrifies me. I’m debating therapy for this issue, because I feel like a bad perfumista for being so anti-Fracas! I think you are not alone – at all! It is a love or hate fragrance and while I appreciate it in the smallest dose possible, I wouldn’t dream of spraying with abandon. Great post, now I know what to look for should I ever pursue vintage Fracas.